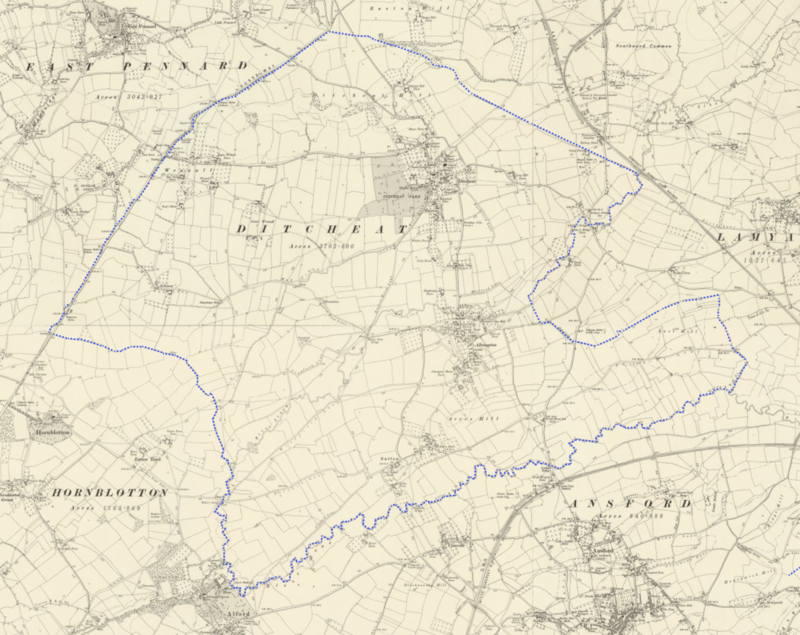 The National Library of Scotland has an excellent mapping resource, lower down this page I have provided links to four maps that cover Ditcheat parish shown by the blue line in the illustration below. 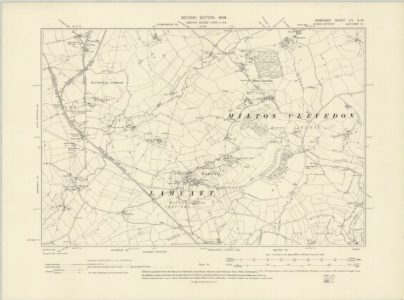 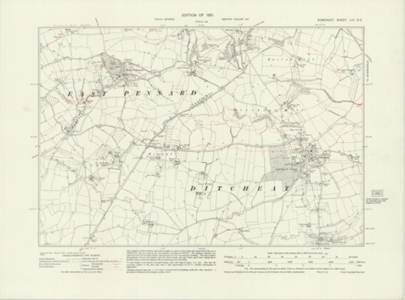 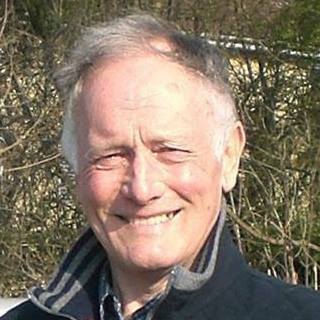 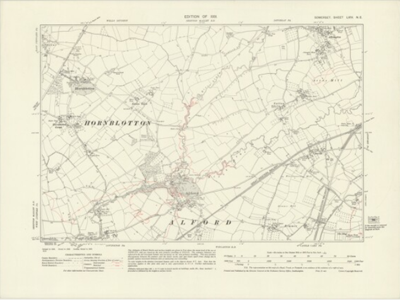 The maps were issued in 1930 and will relate to a series of my posts which Norris Yeoman describes the Parish in 1930's. 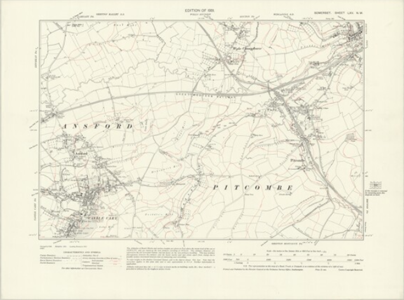 This link will open a a guide to the abbreviations used in the OS maps.